Family First will cease operating from today after the party agreed to join Cory Bernardi’s Australian Conservatives, but the “merger” has cost the group a federal senator. News broke late yesterday that Family First, founded in South Australia in 2001 by pentecostal pastor Andrew Evans, would join forces with Senator Cory Bernardi’s fledgling Australian Conservatives party. Family First’s two sitting South Australian MPs, Dennis Hood and Rob Brokenshire, will become Australian Conservatives members under the deal. The pair fronted a press conference with Bernardi in Adelaide this morning and revealed the Family First party would cease to operate from today. 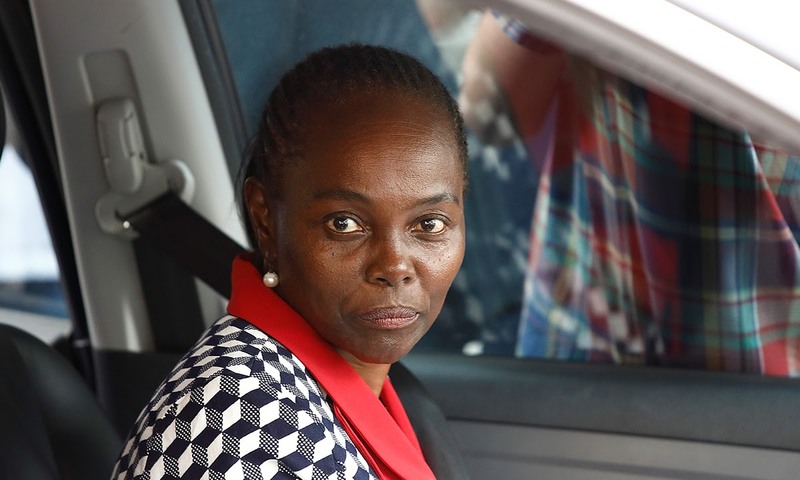 However, the decision has come at a cost, with Family First’s only federal representative, Lucy Gichuhi, deciding against joining the Australian Conservatives. “We have reached out our hardest to her but for some reason she has decided to go it alone,” Evans told ABC Radio Adelaide this morning. He said she gave no explanation of why she didn’t want to join the Australian Conservatives, however Bernardi later claimed Gichuhi’s decision had been a matter of “timing” and that she needed to “get her head around” the job of Senator. Bernardi said today that merger talks between the parties began well before Gichuhi’s appointment, and he wished her well on her career. He told a press conference in Adelaide that the parties were united by their “founding principles of supporting stronger families… and rebuilding civil society”. “Our shared values have forged a very strong bond,” he said. “Together our movement will be stronger than if we go it alone,” he said, adding that he hoped it would not be the last amalgamation of minor conservative parties. He declared the party now represented “thousands upon thousands of paid members” with “millions of potential Australian Conservative (voters) out there”. The Australian Conservatives would seek to register with all of the state electoral commissions, but Bernardi would not commit to contesting every state election. South Australian Family First leader Dennis Hood said today was “a great day for Family First”. “The conservative side of politics has been fractured,” he said. He said the state executives of Family First voted unanimously in favour of the merger, which will see the end of the “Family First” party name from today. Family First’s other state member, Rob Brokenshire, also welcomed the merger. “It’s not about populist politics,” he said. “It’s about what is best to take South Australia and Australia forward. Gichuhi has shown herself to be media shy in the past week since the High Court confirmed her as a replacement for Family First’s Bob Day, who stood down as a senator last year following the collapse of his home building empire. Gichuhi won a recount of votes sparked after the court earlier ruled Day had been ineligible to stand at last year’s federal election. She will now enter the Senate as an independent, joining a mixed crossbench of independent and minor party members. Day resigned his post in November last year to deal with the collapse of his Home Australia group of companies. However, six days later the Senate referred his eligibility for election to the High Court on the grounds he may have benefited from the commonwealth through a lease arrangement relating to his Adelaide electoral office. The court decided earlier this month that Day was incapable of sitting as a senator under that section because the financial benefit he stood to gain from the commonwealth paying rent constituted an “indirect pecuniary interest”. Day and Bernardi have a long and close association, including being connected with his previous office space that was at the centre of the High Court action. As InDaily reported in February, Day did not rule out working with the Australian Conservatives. Day has been a collaborator with Bernardi through his right-wing hub, the Bert Kelly Research Centre. He told InDaily at the time that the centre was “still running out of [Bernardi’s] Australian Conservatives office” in Kent Town. “So I still have close involvement with him,” he said. Like Bernardi, Day is a former Liberal member who quit the party, having previously run as a candidate for Makin and missed out on preselection for Mayo. Day was cryptic about whether he would continue to collaborate with Bernardi on his new venture, but conceded that “like-minded people have a way of coming together with projects and so on”. The merged party, which, on the face of it, looks more like a takeover of Family First, will shake up the state political scene, potentially more so than the federal parliament. It gives Bernardi’s new party access to an established local campaigning network, volunteers, and funding. Bernardi said today that Hood had reached out to him within a week of him founding the Australian Conservatives. “The brand for Family First in South Australia is extraordinary,” he said. He said it was a “merger of equals… from an asset point of view (and) from a membership point of view”. Immigration Minister Peter Dutton said the merger was “natural fit”. “My sense is that it was inevitable,” Dutton said of the merger on Sky News late on Monday evening. Bernardi defected from the Liberal Party in February. His fledgling party’s application to register was approved by the Australian Electoral Commission less than a fortnight ago. Dutton believed the “writing was on the wall” for Family First as soon as Day, who was a major financial backer of the party, exited parliament. Hood insisted that Day had not funded the last state election for Family First and that the party’s polling, at the state level, continued to be healthy.